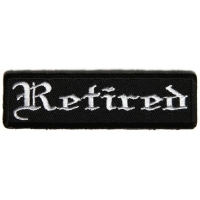 Find officer biker ranks patches for your motorcycle club (MC Rank Patches) in various different colors. 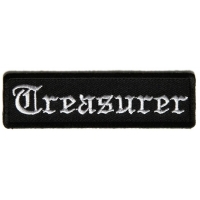 We even have reflective biker rank patches, lady biker ranks, and many other different biker rank and title sets. Iron On or Sew on motorcycle vests, jackets and denim. You can also find an alias name or a nickname patches. 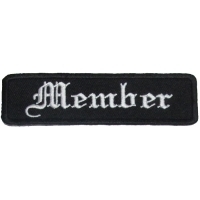 The embroidered rank patches are used by clubs to identify their ranks within the club. 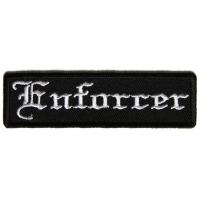 See our full embroidered biker patches main category for more biker patches. 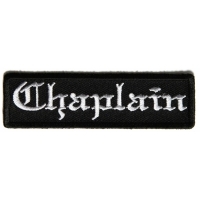 We have every color of biker rank and title patches that would fit any motorcycle club. 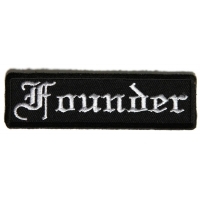 Your club can even order biker patches, rank patches, and more wholesale. So you want to start a motorcycle club? Great! There are a few you things you need to know first, and a few things you'll need to buy, before you can truly call your gang of bikers a legit motorcycle club. First off, any members who don't have a leather vest need to make that priority number one. The vest is the club billboard, ID card, and uniform all rolled into one package. Any club that settles for matching polo shirts or nylon wind breakers is going to have a hard time convincing other bikers they are a real club. Not to mention the fact that they'll look a little too preppie to be taken seriously. Next, you need colors. By colors I mean certain clothing items and an official patch, with a logo, that designates just who you are. Like the U.S. Army wears their unique uniforms with military patches, you need a large back patch, perhaps a rocker, and maybe a bandana around your head or tied to a belt loop. 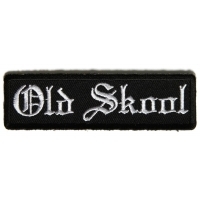 Your back patch should be your club logo and slogan, if you have one. And while you're thinking about it, it should be something that grabs attention. Not that you have to be nasty or intimidating, but the logo should still stand out. Thecheapplace.com can make your custom back patch as long as you provide the artwork. They can also supply you with all the club patches you might need - which brings us to the last item. People both inside an outside your club need to be able to identify ranking club members. You probably have a president, vice, president, sergeant at arms, and so on. 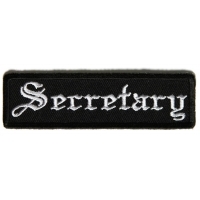 Club patches are small rectangles or squares that designate rank or some special accomplishment. They are one of necessities if you want to be legit. Look at it this way. If a newbie wants to join the club, and you have him on some sort of probationary period before he's fully inaugurated, do you want him running around asking everybody what their rank is? No, you want him to show a little respect. If he can see your rank sewed on the front of your vest, he can show respect without having to ask. If your club grows beyond your local area, things become more complicated. 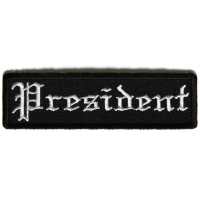 Here's where you need patches to designate different chapters of the club. There will be national and regional officers as well as local chapter officers; without some sort of designation, nobody will know who anyone else is outside of their own local group. 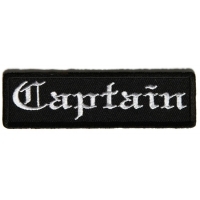 Thecheapplace.com makes all their club patches with an iron on backing, just in case sewing isn't your thing. Shipping is free in most cases and pretty cheap the rest of the time. Plus, they can make custom patches that reflect your club's unique ranking system. In a nut shell, there's really no excuse not to have club patches on your vests. If you want to be legit, get moving!